At 10 years old and riding in the back of a stationwagon, Brent McPike's passion for music began when he heard Peter Frampton's "Do You Feel Like I Do" on the radio. "The sound of that electrical guitar hit me like lightning," said Brent McPike, associate professor in Indiana State University's School of Music. McPike, who grew up listening to groups such as The Beatles, Peter Frampton and KISS, has been playing the guitar ever since. Growing up, his grandfather taught him how to play guitar, which eventually led him in the direction of completing his bachelor's and master's degrees in music. His experiences have varied from jazz bands at Butler University all the way to Busch Gardens in Virginia. During his time at Busch Gardens, McPike got to play at the same time as Grammy-winner Victor Wooten. 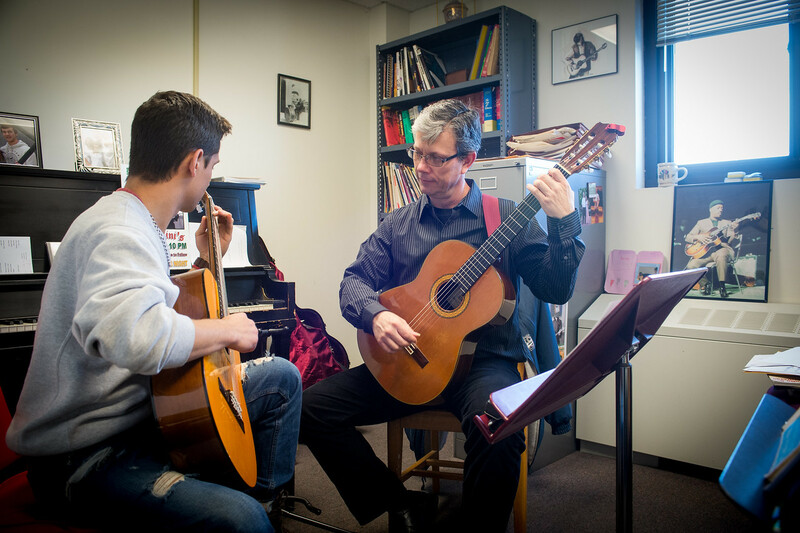 For years McPike has been teaching guitar lessons and has had students go on to be successful musicians. His students taking lessons range from elementary aged students to adults. "I've always enjoyed my career so much as a teacher, because I always got to deal with elementary, college and even older adult students. 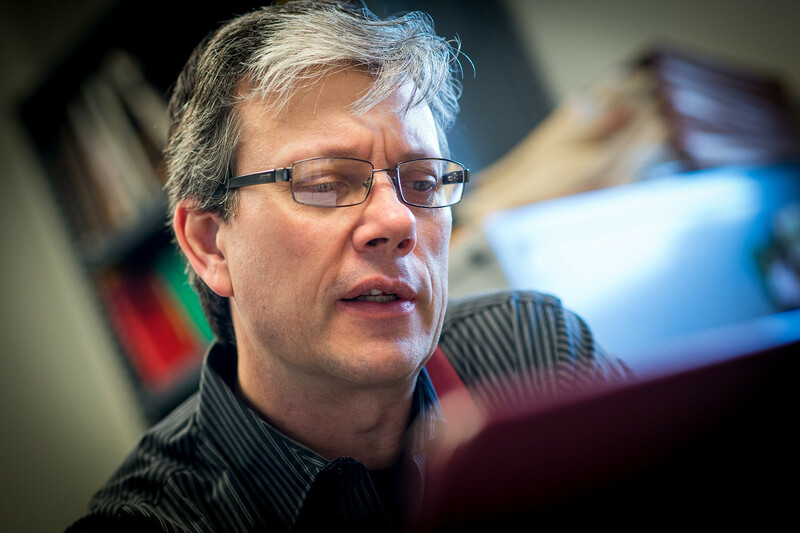 I've always enjoyed that I was teaching students at different stages of life," McPike said. One of McPike's current students is Yong Joon Park, associate professor of elementary, early and special education in the Bayh College of Education. Park has been taking lessons through McPike's students and McPike for more than two years. "He is energetic, he is passionate and he is a caring person. He truly cares about music, music education and future musicians. He cares about his students," Park said. Park integrates the guitar into plans for his classes at Indiana State. "Hopefully in the future on campus many faculty and staff members, if they're interested, will learn to play. I truly recommend Brent, he is a good teacher," Park said. Private lessons with McPike are available through the Community School of the Arts. Call 812-237-2528 for more information. "I can't picture life without music," McPike said. Photos: http://photos.indstate.edu/Other/Media-Services/Media-Arts-and-Sciences/Brent-McPike-guitar-lesson/i-M56Lkqh/0/X2/02_29_16_brent_mcpike-1947-X2.jpg -- Brent McPike leads a private guitar lesson at Indiana State University.